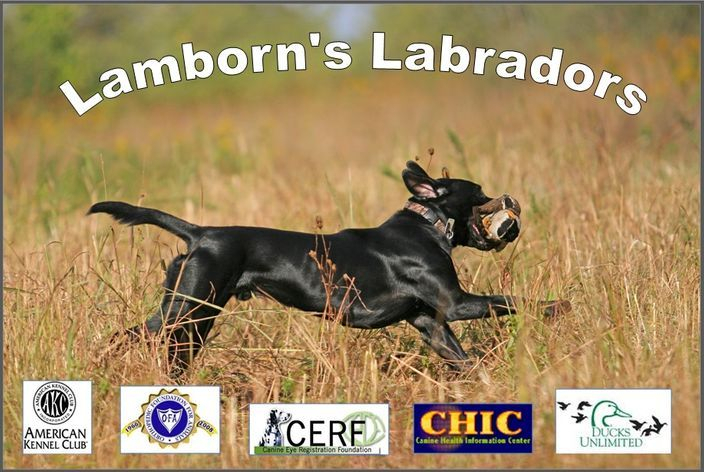 Welcome to Lamborn's Labradors ! Grand River Pups Arrived ! 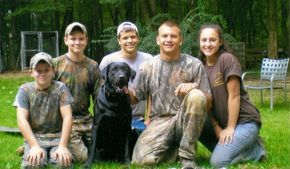 We are a small breeder, located in Coatesville, PA. We offer quality pups with proven potential for hunt tests, field trials or family companion. We also offer stud service. 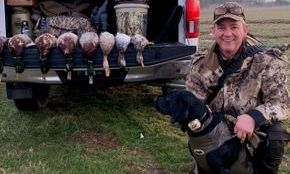 We own four labs, Sky, Lena, River and Grand. We have one or two litters a year. My dogs are a big part of my life and pups are raised in my home. Our puppies leave with their first shots, dewormed and dewclaws removed. Each puppy sold includes complete health records, parent health clearances, parent pedigrees and is vet checked with a 26 month health guarantee. Grand ~ Grand is available for stud, visit his page! 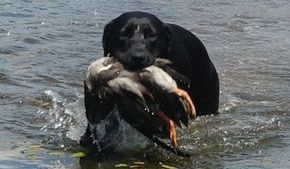 River ~ An admirable pedigree, her Daddy is FC AFC CFC AFC Jazztime Bluegoose's Skatch. 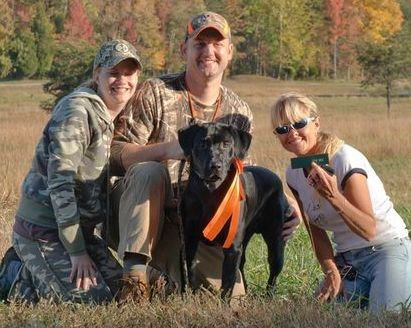 Lena ~ Lena's Daddy is NAFC FC Cody Cut A Lean Grade "Grady"
Congrats to Lamborn's Cooper Jack Magic!! Title Run Pass in Brandywine, MD. 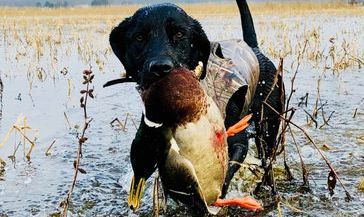 Cooper is now a titled Junior Hunter. Thanks to Jeff and all his hard work. 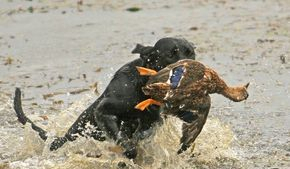 He was the 2nd youngest dog entered at a year old. Cooper's enthusiasm and drive was amazing to watch! 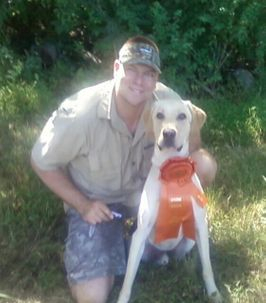 "It really helps to have an intelligent dog that only takes one time for him to learn new behaviors...I would be happy to be a reference for you anytime and am proud to own a super stud dog!" Duff is now Senior Titled!!.... CONGRATS Harry n Duff!!! Duff is a pup from Sky/Rugers litter. The Jenkins are very proud of him. He gets complimented on his looks and character wherever they go! CONGRATULATIONS!! 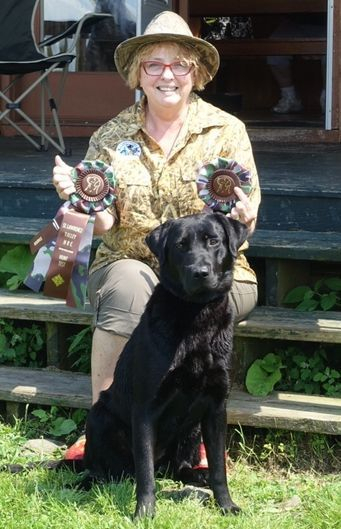 Lena's pup 'Shania' debuted recently, at a year old, she ran in Started at St. Lawrence Valley HRC test (Al was judging in seasoned). As you see she passed both days. Next weekend she moves up to seasoned ... Al will be running her! She will also be running in a test at the end of the month. Congrats to Al, Judi and Shania for all their hard work and wish them all the luck!! Both my son's, dauther in law and nephews.. Lamborn's Gameboy (Ruger) our Legacy and start of it all!